I will fulfill my obligations and responsibilities to children, youth and families with integrity. I will act in a respectful, conscientious, diligent and efficient manner. I will ensure to the best of my ability that children, youth and family members participate in decisions that affect them. I will respect the unique differences in culture, religion, sexual preferences and race of a child, youth or family member. professionally obligated to do so if properly authorized. I will respect the intrinsic worth of each child, youth and family member. I will act to promote excellence in the child, youth, and family service profession. All clients and their family members have a right for their views to be heard and considered in decisions affecting them. No retributive action is to be taken towards an individual or party as a result of that party supporting a particular point of view. Clients have the right of access to the Program Supervisor/Coordinator, Program Director, Executive Director and the Board of Directors so that they may hear any grievances/complaint not effectively dealt with by a staff, contractor, practicum student or volunteer. The confidentiality of client information, of any kind and in any form, must be ensured. Confidentiality of this information is held in compliance with the Personal Information and Protection Act (British Columbia) and the Freedom of Information and Protection and Protection of Privacy Act (Canada). 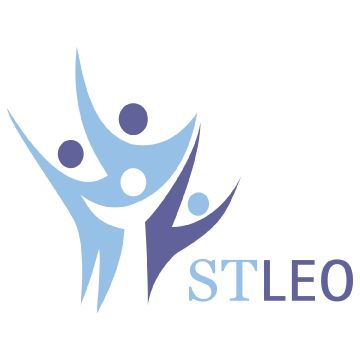 Questions and/or concerns regarding privacy and confidentiality can be directed to our Privacy Officer at PrivacyOfficer@stleo.ca.